Start your workout with some extra support. 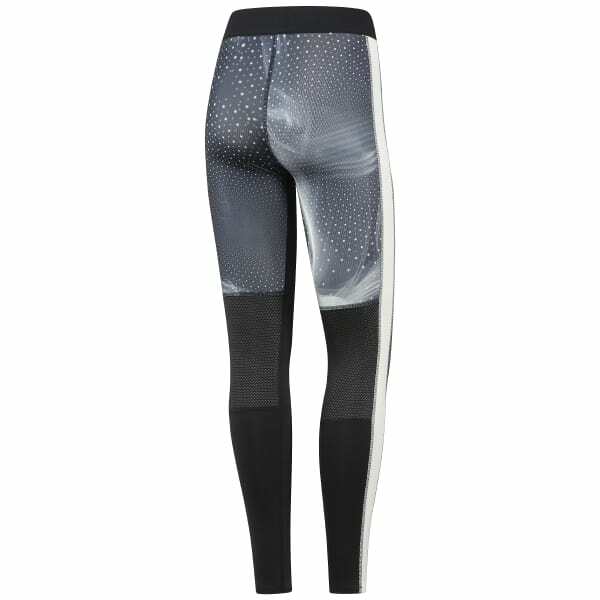 The compression fit on this tight hugs your legs to ease muscle stiffness and provide stability as you get ready to tackle another day. Stay dry and comfy through your whole session - the Speedwick technology handles sweat for you while the mesh construction at the backs of the knees ventilates. If you decide to venture outside, UPF 50+ keeps you safe from strong sun.